Are you currently looking for the right Katy TX Self Defense Lessons for you and your family? Maybe you are all trying to become more equipped to defend yourself against random attacks, but you don’t know where to start. This can be very intimidating at first, but as long as Tiger-Rock Martial Arts are available, you’ll have a solution. Read more to discover how our certified instructors help you get the most out of your mind, body, and soul. Self-defense is a very important part of the courses and programs that we offer here at Tiger-Rock. We understand that in today’s society, you need to prepare to face any type of threat at any time. Are you someone who typically takes walks alone? Maybe you’re sometimes out late at night and you’d like to have a reliable method for protecting yourself. When things get rough, make sure you reach out to our professionals for help. We can provide you with the skills and techniques you’ll need to properly defend yourself. Enrolling in a course like this might be rigorous, but there are plenty of positive results you can benefit from. Are you currently unsatisfied with your cardiovascular health? Maybe you’re quickly winded when you play sports with your friends and you’re trying to get better. Perhaps you have to walk up multiple flights of stairs to get to your apartment, and you’re always tired at the end. These are two signs that you’ll need to add more cardio to your lifestyle. Make sure you increase your stamina in the best way possible by signing up for our courses. The physical benefits of self-defense lessons in Katy don’t just stop there, however. Are you currently unhappy with your upper and lower body strength? If so, you’ll definitely see improvements when you commit yourself to our programs. We understand how crucial it is to be physically fit and strong If you’re trying to strengthen your core as well as nearly every muscle in your body martial arts can help. In addition to the enhancement in strength, you’ll also notice your flexibility increasing. Our instructors want you to understand that Katy TX Self Defense Lessons are not to be taken lightly. We always make sure we push our students past their limits, and this does not include any expectations. Know that you will be prepared to handle real-life situations that are high in intensity. While you may feel like you’re ill-equipped at first, staying the course will have a positive influence on your life. As long as you stay committed and give it your all, you’ll notice the results manifesting over time. Completing a program like this is much more than just physical capabilities. Are you trying to become a much more disciplined and focused person? Maybe you’re having problems during your workday, and you’re attributing them to your lack of focus and constant attentiveness. If this is a recurring problem for you, you may find solace and solutions in attending a martial arts dojo. Many studies show that enrolling in a program like self-defense or martial arts can provide the typical person with an enhanced sense of motivation. 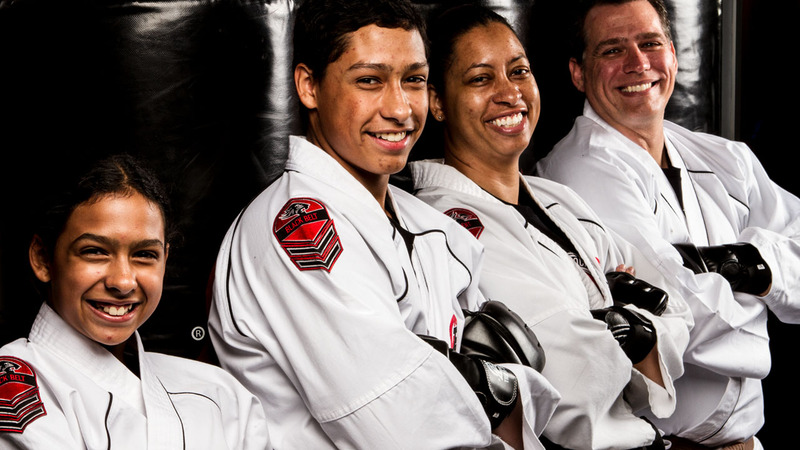 Founded in 1983, Tiger-Rock Martial Arts is the biggest martial arts franchise in all of the United States of America. We have over a hundred locations, and each one contains a team of professionals who have complete mastery over martial arts. You can count on our group of instructors and experts to provide you with the guidance you need. We understand how important it is to be able to defend yourself properly. If you’re not happy with your capabilities and you’d like some enhancements, we’ll help you get better. You won’t have to worry or fret about being in a long contract with us. We understand that the typical student wants flexibility, and that’s what we strive to provide. We have competitive prices that are on par with other dojos in the area, and you’ll be able to find the best classes right here. Our studio puts a high priority on providing our students with plenty of class times and time slots. If you’re currently balancing a lot and your daily schedule is hectic, we can help you work around it. We have a multitude of classes, and we’ll help you put together a program that doesn’t force you to compromise anything you have currently going on in your life. Are you a fan of giving it your all and sparring against your equals? If you’re beginning to have problems that are associated with your competitive drive, we can step in and help. TRMA is a place that encourages healthy competition, and we want our students to try to win. Let us know if you are a fan of sparring; we can give you more information about our national tournaments. Nobody should take Katy TX Self Defense Lessons lightly, and it’s crucially important that you choose the right instructors. This is a very serious class that requires patience, diligence, discipline, and a lot of hard work. 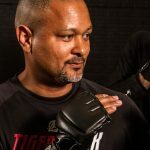 If you want to get the most out of it and prepare yourself for real-life combat scenarios, contact Tiger-Rock Martial Arts. Our academy has a team of instructors and experts who can answer your questions and give you more information. We have plenty of time slots and classes that we can easily fit you in. Let us know what times work for you, and we’ll handle the rest! Call us today to schedule your introductory sessions followed by a performance evaluation. Calvin Baird was the first mayor of our great city. Ever since the Great Galveston Hurricane, we have been committed to becoming a more modern city for our residents. If you like shopping and fun, we highly recommend the Katy Mills Mall to you. It’s a great shopping center that will provide you with a bevy of options. Our city is 143 feet above sea level.